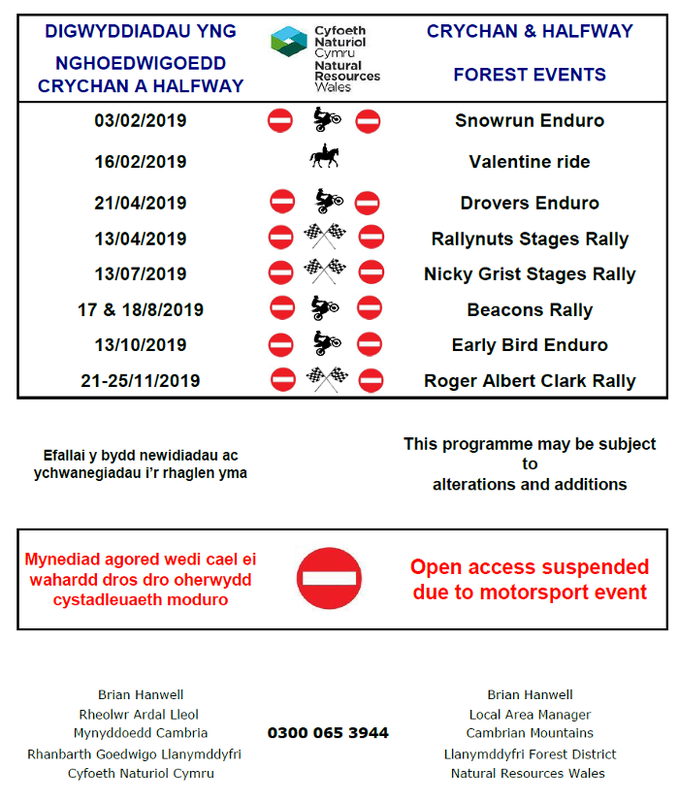 Details of Events in Crychan and Halfway forest. Check back regularly as we add events when notified by NRW. Open access to the forest will be suspended during this motor sport event.